It’s a busy year for Vancouver based developer Klei Entertainment. 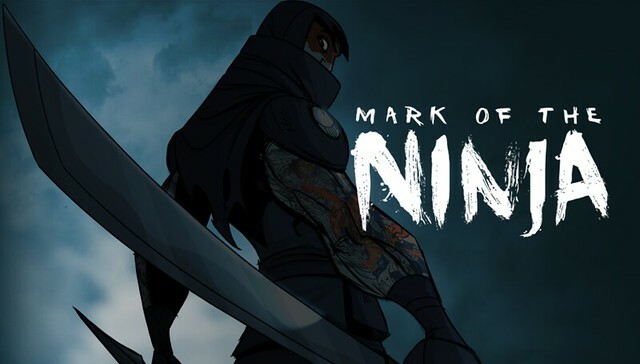 Coming off the recent success of their sequel Shank 2, the indepedent studio have dived back into the thick of what they do best with an all new intellectual property, Mark of the Ninja. Unlike their previous work on Eets and the Shank series, Mark of the Ninja explores new, unfamiliar territory as a stealth platformer, expanding on the lavish 2D visual styling synonymous with the Klei Entertainment name. To learn more about the game, Jess and I sat down with Nels Anderson, Lead Designer for Mark of the Ninja for a Q&A session on the inspiration, design philosophy, challenges, and more working on what could be described as a true ninja title hiding in the shadows for Xbox LIVE Arcade. Jess: In the Shank series every inch of your screen could be filled with the rich red innards of your screaming enemies. 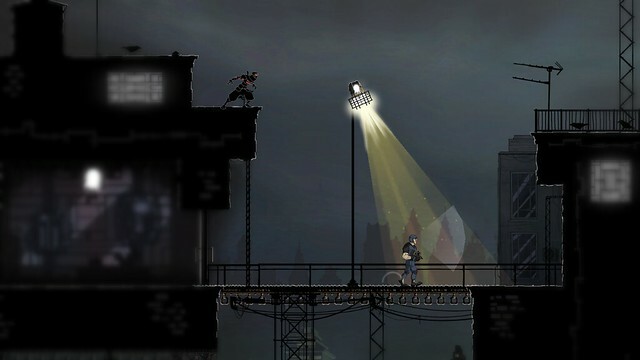 By comparison, Mark of the Ninja draws the players into the deep dark night for a more thoughtful, subdued experience. What inspired the shift into the shadows for some authentic ninja action? Nels: We really just wanted to do something different than Shank. We wanted to take our core strengths, the things we’re really good at like flowing, graceful 2D animation and really tight responsive controls and apply them to a different context. That and that fact that really, since Tenchu, there hasn’t been a ninja-themed game that was actually about being sneaky. Jess: It’s great to see a company inspired to do justice to the ninja name; are there any particular depictions of ninjas or Japanese culture that have shaped the game’s development? Nels: Unfortunately, most ninja-related media tends to be pretty corny. There are a few Japanese films about ninja that aren’t bad, but mostly, it’s all pretty popcorn fare, at best. So we drew a lot more upon actual Japanese history instead. Looking at the Sengoku jidai, Japan’s warring states period where actual ninja were most active, is rife was fascinating accounts and tales. Hangie: In contrast to the vibrant world in which the Shank series takes place; what challenges did the team face when working with a palette that is essentially darker tones and shades of black? Nels: Heh, our art team, and our lead environment artist Meghan Shaw especially, went through a tremendous amount of concepting, revision and iteration trying to get this right. 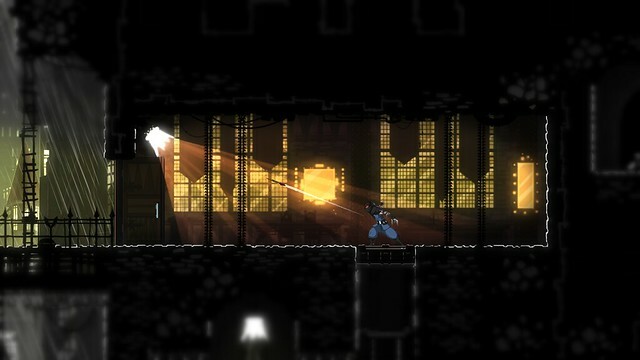 Having a game that’s about being in darkness, while not actually making it just tremendously black is a huge challenge. It’s a bit outside of my area of expertise, so I can’t really speak to the details, but suffice to say, it was not an easy challenge to overcome. But I’d say they did a tremendous job with the final results. Jess: The true ninja becomes one with the shadows, yet it is still so important to keep the game visually interesting. In Mark of the Ninja, the scenes are set through the stark outlines and vivid colours of the various backdrops. 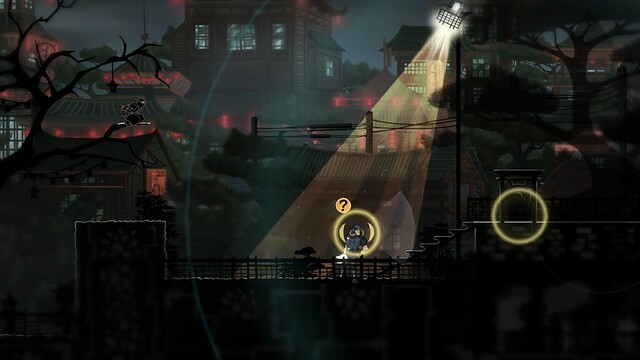 Can you tell us a bit more about the game’s visual style and the types of locations our ninja will be sneaking through? Nels: The visual style is concentrated on providing good contrast, so the player is never left wondering if they’re concealed or in the darkness. But we certainly didn’t want the game to just be monotone, so while the layer the player and enemies occupies tends to be quite dark unless it’s under a light source, the backgrounds are far more vibrant and colourful. The locations are a combination of ancient and modern eras, sitting side by side. It includes both a lot of interior and exterior areas, as this provides different opportunities and challenges for moving about stealthily and evading/manipulating enemies. Hangie: The Shank series has a strong following of fans that enjoy the ultra-violent aspect of the franchise. 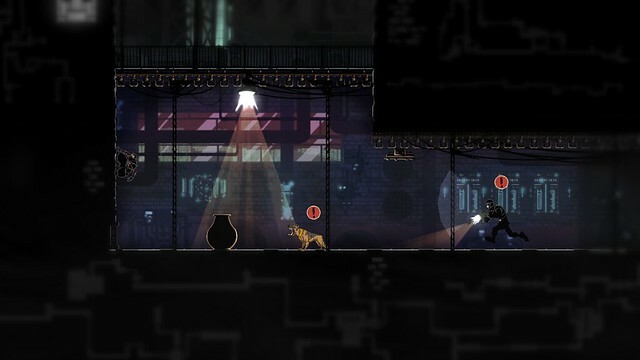 Were there any concerns on developing a title that discourages players for taking a gung-ho approach, since Mark of the Ninja goes against a philosophy that has bought Klei Entertainment critical success in their most recent releases. Nels: It wasn’t a concern per se, but it was definitely a challenge and something we knew we needed to address up front. And honestly, we did a *lot* of iteration to get them game to the point where just sprinting and brawling will not be a path to success without being completely ham-fisted about it. I’m pretty happy with where it ended up and most playtesters seem to feel they same way, so hopefully folks in general will pick up what we’re laying down here. 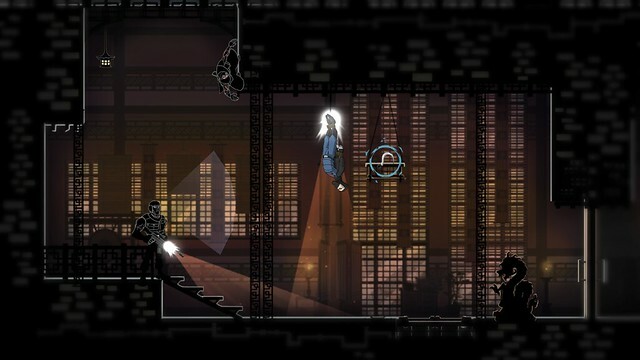 Hangie: The 2D platform presents a unique side-scrolling action-adventure experience, yet for Mark of the Ninja the environment plays a critical role in how players interact with their surroundings such as sneaking and hiding from enemies. Were there any difficulties in incorporating a seamless feel into the backdrop and character model? Nels: We were challenged in making the spaces in the game feel real and tangible. While they’re of course not representational, even as a 2D cutaway or something, we didn’t want the spaces to feel really abstract and game-y, like some 2D platformers do. So striking that balance between a clear, coherent space that feels grounded by still affords good gameplay required a lot of coordinate between myself and our other level designer and our environment art team. Jess: Part of the puzzling in this game is to mix and match your skills and weapons to move undetected through situations. Do you have a favourite ninja technique or combination you can’t do without? Nels: My preference is definitely to manipulate and avoid the guards where possible, so there’s a small firecracker item that can be used to cause a noise that draws guards toward or away from certain areas that’s pretty useful for my style. And smoke bombs can be used to create safe zones of passage as well, in addition to escaping after being detected (or nearly detected). Jess: And of course, what is a ninja without his clan? Can you safely divulge any secrets of this mysterious cursed clan? Nels: I’d like it to mostly be something folks discover as they play, but I will say the game begins with the clan in a moment of crisis. When the clan is seriously threatened, they select one member to receive ritual tattoos. These tattoos grant enhanced abilities (nothing supernatural, but Olympic-level, height of human possibility type things) but the tattoos ultimate drive whoever receives them to madness. And, of course, you play the ninja selected to receive the tattoos. Jess: On the topic of ninja packs, will there be any form of multiplayer aspect to the game? Nels: There aren’t, no. We just had too much iteration and experimentation to do just figuring out how 2D stealth gameplay will really work at all, just for a single person, let alone multiple people. We’re a very small team and adding multiplayer would have required compromises on the single player side we didn’t want to make. But now that we have a better handle on the dynamics, we probably could make a pretty great multiplayer 2D stealth game. So who knows what the future may hold? Hangie: Were there any ideas for Mark of the Ninja that sounded good in theory and on paper, but when implemented were unusable or impractical? If so, would they be something Klei Entertainment may revisit sometime in the future? Nels: Tons of things didn’t work in their initial state and had to be reworked and iterated upon. The only thing that we really spent time on and just couldn’t get to work was a more complicated, in-depth melee combat system for when the ninja was detected. It just pushed the game too much toward brawler territory and didn’t really encourage people to be sneaky. But it was just effective enough that it could be used to brute force through levels, so ultimately, we went for a more streamlined approach to combat once the ninja has been detected. Jess: Mark of the Ninja has been developed in conjunction with Microsoft Studios for Xbox Live Arcade; I know many fans are eager to find out whether it might also be sneaking onto PC or iOS in the future? Nels: Yeah, the PC is definitely my platform of choice when playing games, so we’d love to do a version for Steam. We’re still sorting out all the various details, but we’ll definitely make plenty of noise once we get that sorted out. Heh, given the game’s tremendous complexity though (no, really, we use almost every button on the 360 controller), it would not be a very good fit for iOS. Hangie: Any closing comments you’d like to share with our readers? Nels: We’re always interested in folks letting us know what kind of things they’d like to hear/read more about. So drop us a line on Facebook at http://www.facebook.com/MarkOfTheNinja or Twitter at @Klei or @Nelsormensch and tell us what else you want to know about the game, our development process, philosophies, etc! Learn more about Mark of the Ninja at the official site, or alternatively you can harass Nels directly via his Twitter above. I’m only joking, the poor man is hard at work making the game so keep the harassment to a casual annoyance, rather than stalker behaviour. Mark of the Ninja is still currently in development for Xbox 360 via Xbox LIVE Arcade, launching during the Summer 2012 period. Many thanks to Nels Anderson for taking time out from his development duties to speak with us about Mark of the Ninja and the concept behind it all. We wish Nels Anderson and the team at Klei Entertainment all the best with Mark of the Ninja and their current and future titles moving forward.